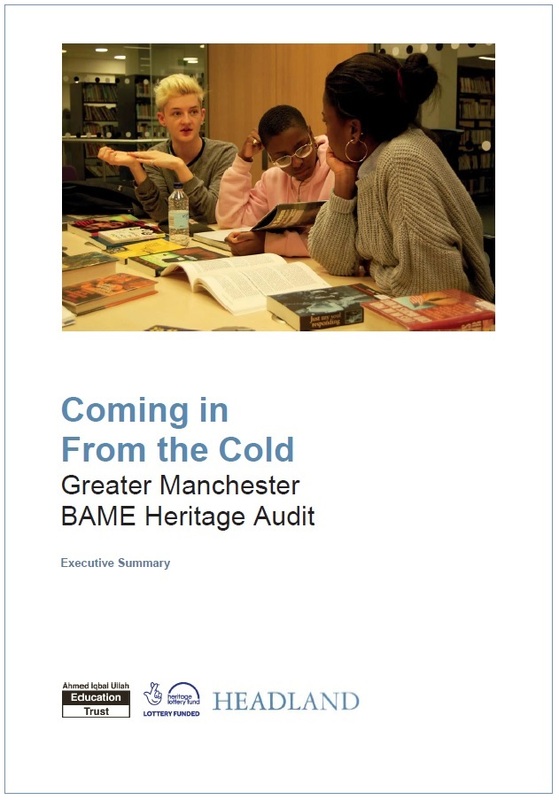 We are finally ready to share the results of our audit, which summarises BAME related heritage projects and collections across Greater Manchester. Visit ‘Our Research’ page to access all of the background information for phase one. We have used the audit results to develop an activity plan for phase two of the ‘Coming in from the Cold’ project. An application was submitted to the Heritage Lottery Fund at the beginning of September, with a decision on funding expected by December 2017. In the meantime, many thanks to all of the project team for their input and to all of those who assisted in research for the audit. Posted on September 20, 2017 October 3, 2017 by Jennie VickersPosted in ReportsTagged Audit, BAME heritage, Coming in from the Cold, Heritage Lottery Fund, Manchester.